JELD-WEN’s post-trial motions for judgment as a matter of law and new trial were rejected. In an antitrust suit involving the interior molded doorskins market, in which the rare remedy of divestiture of a manufacturing facility acquired in a merger was ordered, post-judgment motions filed by JELD-WEN, which had acquired the facility in the merger, asking for a judgment as a matter of law and a new trial were both denied in separate orders because the jury had ample evidence for its conclusions and no reversible error occurred, the federal district court in Richmond has concluded. The evidence presented at trial, the court said, established that JELD-WEN’s merger with CraftMaster Manufacturing (CMI), after which JELD-WEN raised its prices and eliminated its reimbursement policy, caused antitrust injuries to Steves and Sons, a doorskin purchaser (Steves and Sons, Inc. v. JELD-WEN, Inc., March 13, 2019, Payne, R.). Background. Steves, a manufacturer of molded doors, brought antitrust claims against JELD-WEN, from whom it bought molded doorskins. 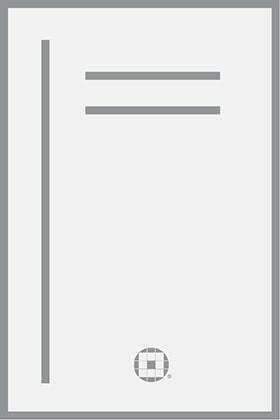 A jury found that JELD-WEN’s acquisition of CMI, another manufacturer of molded doorskins, violated Section 7 of the Clayton Act. Doorskins are the largest input cost of a molded interior door. Steves proved that, before JELD-WEN acquired CMI in 2012, there was a competitive doorskin market with three vertically integrated suppliers. The merger reduced the number of suppliers to two and substantially lessened competition in the doorskin market. The jury awarded Steves damages for past antitrust injury and $46,480,581 for future lost profits. As an alternative to the jury’s award of future lost profits, Steves sought equitable relief in the form of a divestiture by JELD-WEN of a doorskins manufacturing facility in Towanda, Pennsylvania, that JELD-WEN acquired through CMI. The court agreed that divestiture was an appropriate remedy, given the hardship to Steves, which would otherwise go out of business. JELD-WEN then filed two post-trial motions: (1) a motion for a judgment as a matter of law and (2) a motion for a new trial. JELD-WEN argued that it was entitled to a judgment notwithstanding the jury verdict because Steves failed to prove that the CMI acquisition caused the claimed injury, that Steves failed to prove an antitrust injury, and that Steves failed to establish (1) an antitrust market, (2) any injury to competition, or (3) that the harm outweighed the efficiencies gained in the acquisition. Antitrust causation. 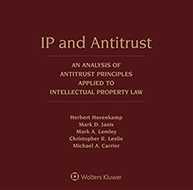 The court concluded that Steves proved both an antitrust injury and its damages by a preponderance of the evidence. The evidence established that the prices charged to Steves increased after the merger. Steves also produced internal documents showing that JELD-WEN understood how the acquisition was going to give it significant market power. Expert testimony established that no factor or market condition could have caused the price increase other than JELD-WEN’s new market power. Furthermore, the jury clearly rejected JELD-WEN’s alternative explanations for the price increase. In addition to the price increase, JELD-WEN used its new-found market power to eliminate its favorable reimbursement policy on defective doorskins. Eliminating the policy significantly raised costs for Steves, particularly after doorskin quality went down after the merger. The court also rejected JELD-WEN’s argument that anticompetitive effects must manifest themselves immediately after the merger in order to be legally attributed to the merger. The anticompetitive effects were caused by JELD-WEN’s exercise of its market power rather than by the merger itself. As for damages, expert testimony once again established sufficient grounds for the jury to conclude that Steves would not have incurred higher prices without the merger. A different expert’s calculation of damages was in accordance with acceptable methods and was based on the evidence presented in the case. The proof of future profits, which showed that Steves stood to lose more than $46 million from 2021 to 2029, was similarly grounded in the evidence. 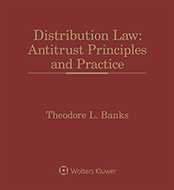 Antitrust injury. By demonstrating that the merger injured competition, Steves established an antitrust injury. The court rejected JELD-WEN’s contention that no other market participants were affected by the merger, noting that the evidence clearly established other doorskin customers were forced to pay even higher prices after the merger than Steves did, because, unlike the others, Steves had a pre-merger supply agreement that at least slowed down the increases. 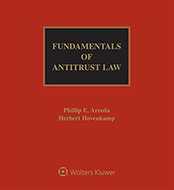 Antitrust elements. Expert testimony sufficiently established that the relevant market was the market for interior molded doorskins. The fact that doorskins may vary did not prevent that from being the proper market. Steves also once again established injury to competition. Evidence established that the third and final doorskin supplier mostly withdrew from the market after the merger. Furthermore, although foreign manufacturers had expressed an interest in entering the U.S. market, none had done so. Thus, Steves had nowhere else to go, and the merger limited its competitive options. As for whether the benefits of the merger outweighed the burdens, the jury heard those arguments and concluded that they did not. Motion for a new trial. JELD-WEN’s grounds for a new trial were based on JELD-WEN’s contention that the court had committed numerous reversible errors, with some overlap from the motion for a judgment as a matter of law. One ground was that the court erred when it bifurcated the antitrust trial from JELD-WEN’s claim that Steves stole JELD-WEN’s trade secrets. The court had ordered a separate trial on that issue because of the potential prejudicial effect on the antitrust claims if claims of stealing trade secrets were mixed in. In fact, JELD-WEN’s arguments for the new trial basically admit that that was part of their trial strategy. The court reiterated its belief that the decision to bifurcate was the right one, and it concluded that subsequent events had proved that it made the right decision. The numerous additional grounds for a new trial involved various decisions that the court made on evidence it permitted, evidence it did not permit, dismissal of a counterclaim, and instructions that it gave the jury. Reviewing them all in detail, the court concluded that none of JELD-WEN’s arguments justified a new trial. This case is No. 3:16-cv-00545-REP. Attorneys: Lewis Franklin Powell, III (Hunton Andrews Kurth LLP) and Marvin Grady Pipkin (Pipkin & Kloppe-Orton LLP) for Steves and Sons, Inc. Craig Thomas Merritt (Christian & Barton LLP) and Elif Kimyacioglu (Latham & Watkins LLP) for JELD-WEN, Inc.
Companies: Steves and Sons, Inc.; JELD-WEN, Inc.